This is the Aluminum Case Savox SA-1283SG Super Torque Steel Gear Digital Servo. Combines leading edge technology with super high 12 bit (4096) resolution and unique steel gears. Extremely strong unique steel gears ensure long-life and durability. The full aluminum case design not only looks good but also allows for cooler and smoother operating temps. From materials to production, these servos are environmentally friendly. 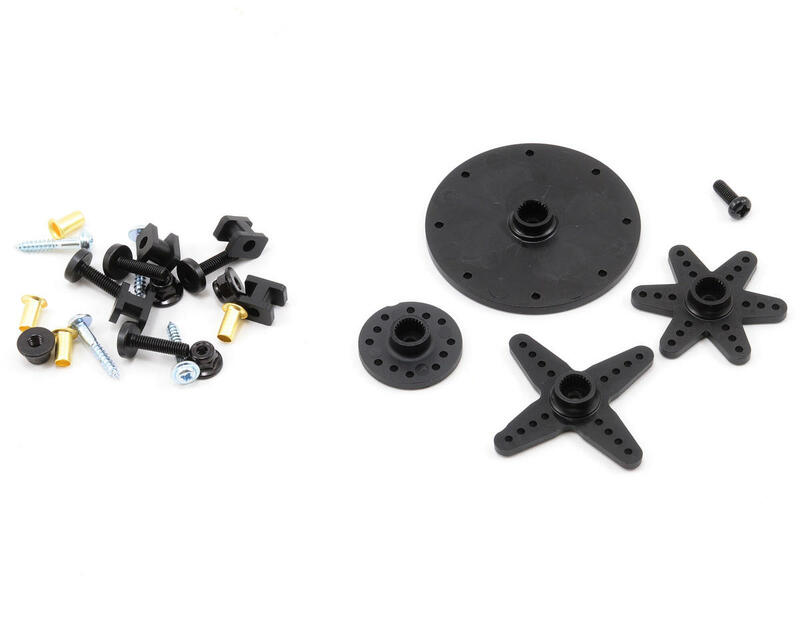 Ideal for rock crawlers, monster trucks, and steering servo on 1/8th scale trucks or buggies. Great servo, but because of the way the top of the case is made some servo arms won't work. Any of the low profile arms will not have enough room for the screw head or nut between the arm and the top of the servo case. 3 customers found this review helpful. This is a must-have for a crawler enthusiast. It will lift the front-end of my 13lb-er off the ground. My son and I race Mugen MBX6 E 1:8 Scale Buggies at our local club track. 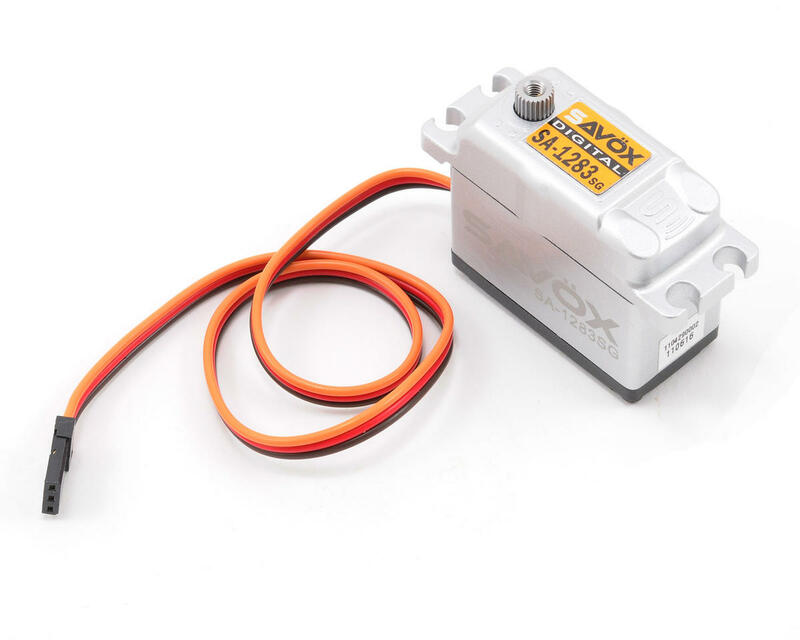 We have tried a lot of servos, This Savox is by far THE BEST we have ever used! Highly reccomended! Put this servo in my Savage Flux HP XL with trencher x's and turns them with ease. 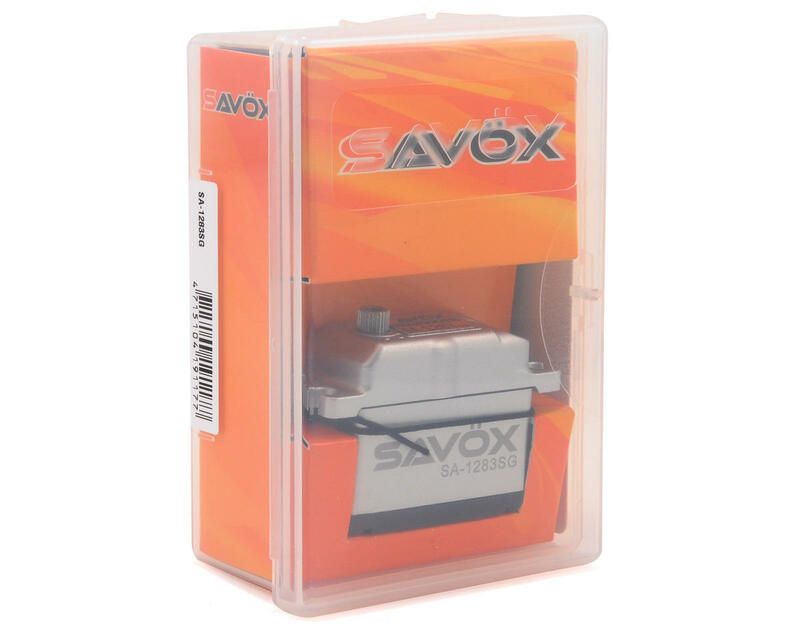 Savox is the best brand of servos out there !!! This servo is incredibly strong and super quick. I had one installed on my Pro4mance equipped SCTE it dang near has enough torque to flex the steering mounts! But it failed during my last track day. I bought the truck used, so I have no idea how long the servo had been installed prior to my running it, and I most likely will be buying a new one to replace it once I save a couple $. I am using this servo on my 1/5th scale TCS Savage Flux with Pro-line 40 series Trenchers, I'm not sure how much my truck weighs but it's VERY heavy and those 40 series trenchers are a lot bigger and taller than the stock GT2 tires, given all that this servo can turn the wheels and haul them on ANY surface I've driven it on, it's very fast as well. I am very happy and impressed with the servo and I would definitely recommend it! Sweet servo! Runnin it in a Losi ebuggy - perfect speed and gobs of torque!! Finally picked up one of these servos at zoom room in newmarket and boy let me say one thing "wow" the amount of tourqe is unreal. Use in 1/8 buggy steering and its perfect!